We are very proud of Marko Cheseto – a great athlete and even greater man! He ran the TCS New York marathon and set a new record for bilateral (double) below knee amputees – 2 hours, 52 minutes, 33 seconds. And that was his first marathon! Then Marko returned home to Orlando and became a U.S. citizen the next day. What an amazing week! Marko Cheseto Sets World Record/Becomes US Citizen in One Week! We are also making an arm and attachment she can use to play on her adaptive hockey team. No boundaries for this little girl! Author KarenPOAPosted on October 4, 2018 October 4, 2018 Categories Client Stories, News, UncategorizedTags amputee, disarticulate, Florida, foot, hip, knee, leg, light, new, Orlando, POA, prosthetic, running, socket, walkingLeave a comment on Rosie, Hip Disarticulate Amputee, Takes Off Running! 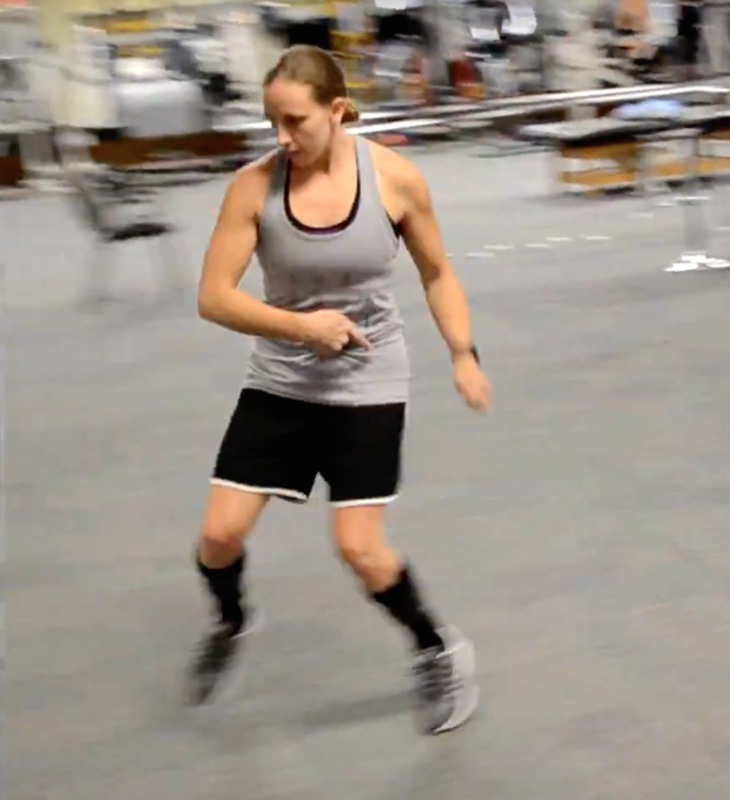 Ruthie Learned to Use a Running Leg/Blade in just 10 minutes! 10 minutes after trying running legs for the very first time, Ruthie was already confident enough to take off on her own! Then there was no stopping her! 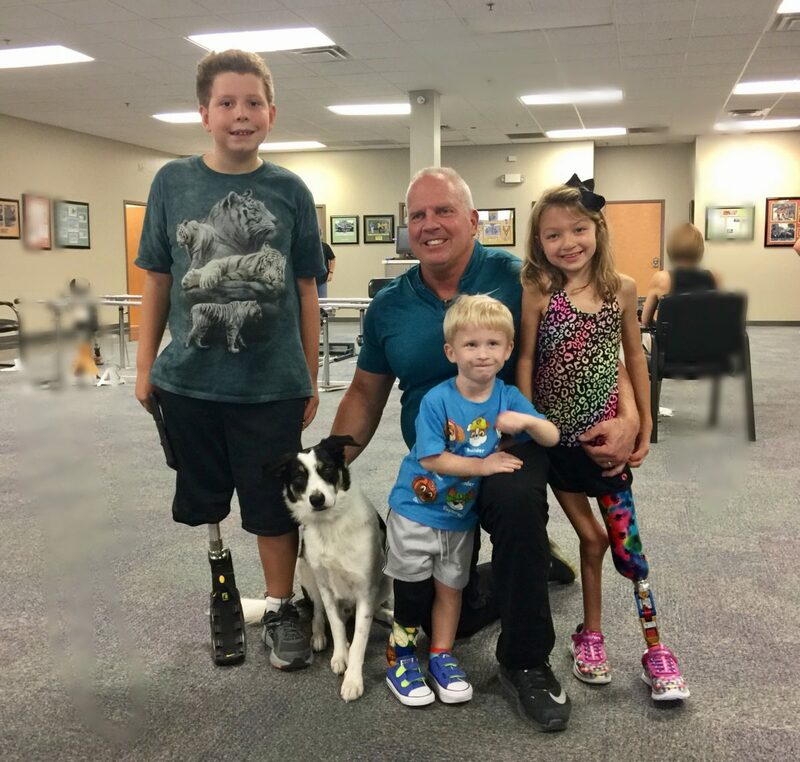 Author KarenPOAPosted on September 5, 2018 Categories News, UncategorizedTags amputee, bilateral, blade, Florida, foot, kids, learning, leg, Orlando, pediatric, POA, prosthetic, run, runningLeave a comment on Ruthie Learned to Use a Running Leg/Blade in just 10 minutes! One week in Florida started with our first visit to POA on a Sunday. I was casted and fitted. It was then I found out I’d be receiving two legs – an everyday leg as well as my running leg. This was an unexpected surprise. Day 2 was once again casted for my new liners and tried out my test socket. My previous leg was a pin lock system and now would be in a suction socket. I was told I was going from a rusted, beat up car to a Tesla! Day 3 I walked for the first time in my new test socket for everyday leg and took it with me to try out for the day. The difference was amazing, both in weight and comfort. Day 4 was a short day because the blade for my running leg was too tall and they had to order me a new one. Day 5 I got my walking everyday leg and my test socket for my running blade. I felt like a kid at Christmas who couldn’t wait to open that special present. I just wanted to run. Marko Cheseto, bilateral amputee: Future Marathon Man? Author KarenPOAPosted on June 28, 2018 June 28, 2018 Categories News, UncategorizedTags amputee, athlete, bilateral, blade, Florida, foot, leg, Orlando, paralympic, POA, prosthetic, runningLeave a comment on Marko Cheseto, bilateral amputee: Future Marathon Man? 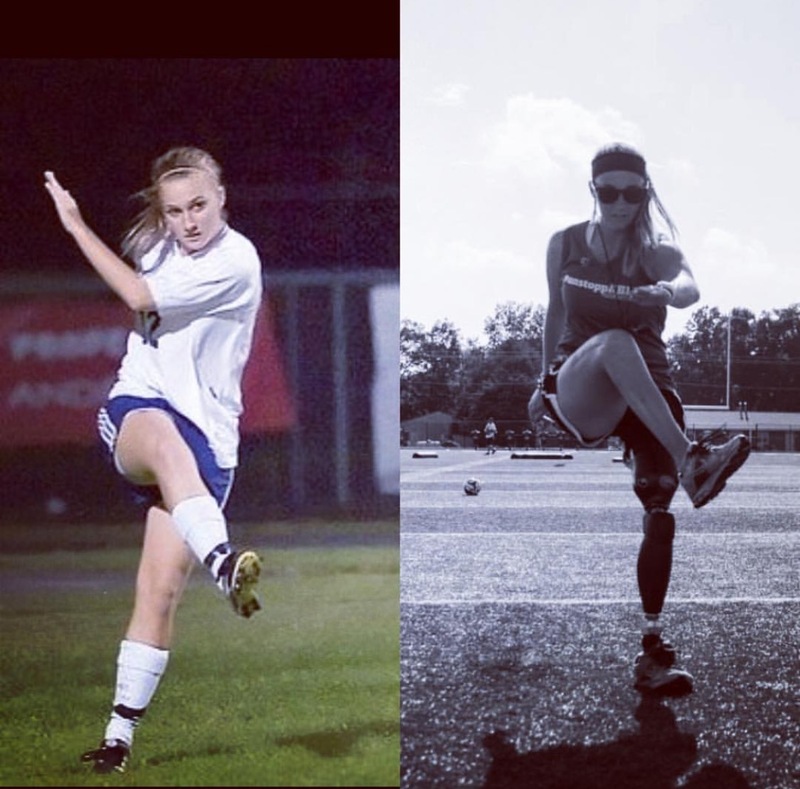 From paralyzed to running! We were blessed to witness this amazing transformation as Mike fit Jasmine with the new leg braces that would change her life. Jaelyn’s 1st Prosthetic Leg – She’s On Her Way! 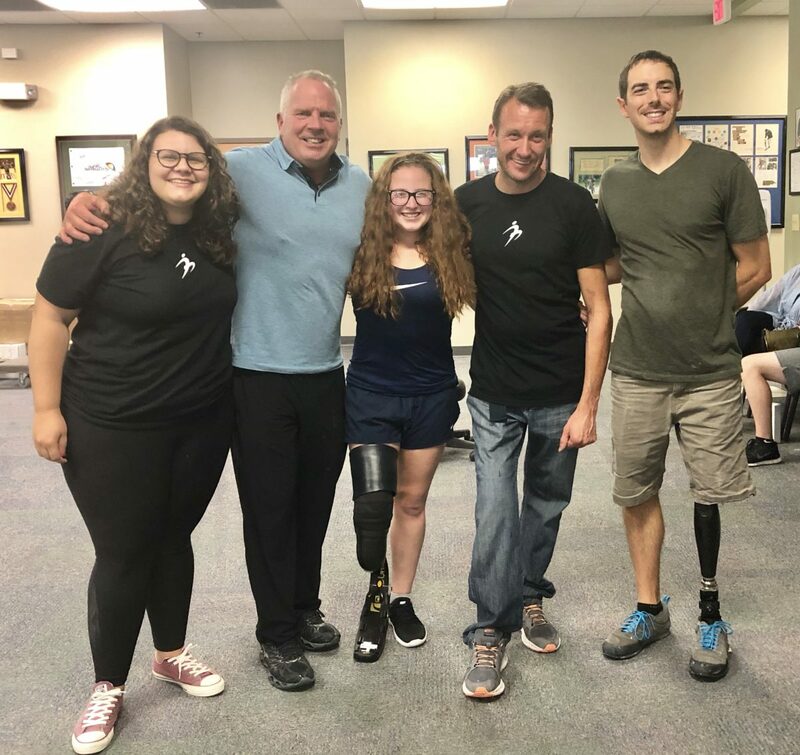 Author MMGPOAPosted on October 4, 2017 October 4, 2017 Categories News, UncategorizedTags amputee, first, Florida, foot, kids, knee, leg, limb, loss, Orlando, POA, prosthetic, running, video, walkingLeave a comment on Jaelyn’s 1st Prosthetic Leg – She’s On Her Way! Bree McMahon from Scott O'Leary on Vimeo. When Dave Klar lost his leg above the knee in August 2014, he feared that he had lost everything. Dave was working as an apprentice electrician at the time of the accident, and was unable to return to the job. He was also passionate about the outdoors, and heavily involved in BMX biking. The thought of losing the ability to participate in the things he loved was devastating. Depressed, broke and scared, he searched the internet for support and guidance. 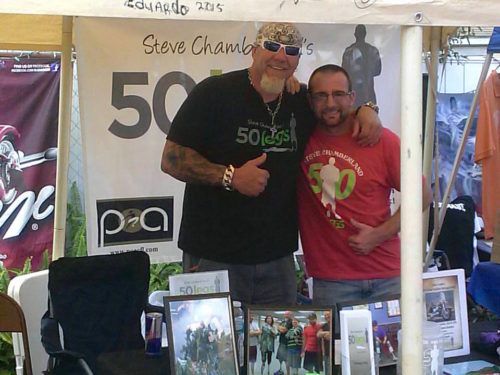 That’s where he found Steve Chamberland, founder and president of 50legs.org, a non-profit organization dedicated to helping amputees in need. 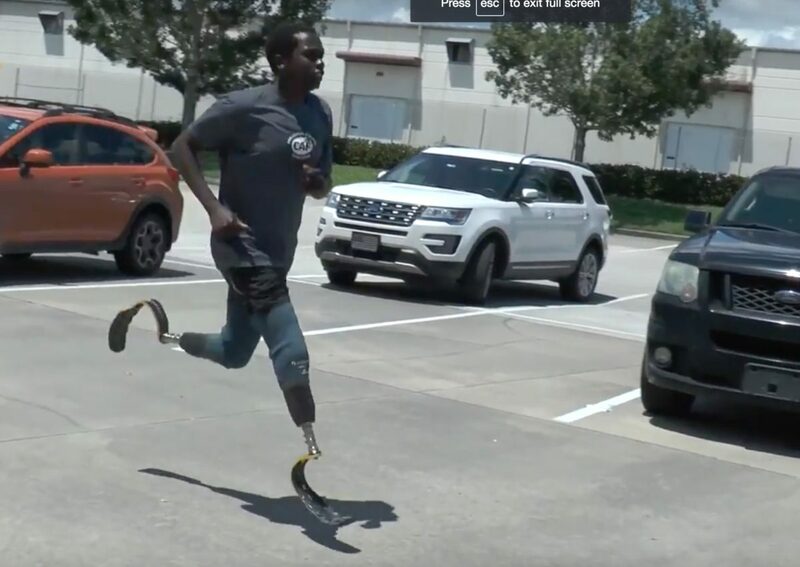 Dave reached out to Steve and within a matter of weeks, arrangements were made to bring him from Ohio to POA in Orlando to be fit with a prosthetic leg that would allow him to get back to his active life. Once he was back up on two legs, things changed quickly for Dave. He had hope again. He dedicated his time and energy to rehab and giving back to the 50Legs organization that he felt had given him his life back. Dave went on camping trips with his dog, pushing himself to the limits. 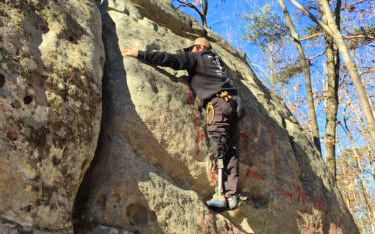 During Dave’s next trip to POA, Ronnie Dickson, CP, a world-class above knee amputee climber, introduced him to climbing. He really connected with the sport, and soon was exploring the outdoors again, looking for new challenges. During this time he saw a post on 50Legs facebook page that was of interest to him. It was about Jeff Bryan, a below-knee amputee fireman and avid climber who lives in Colorado. Jeff had contacted 50Legs for help in finding a source to make him a better fitting prosthesis, and they flew him out to POA. 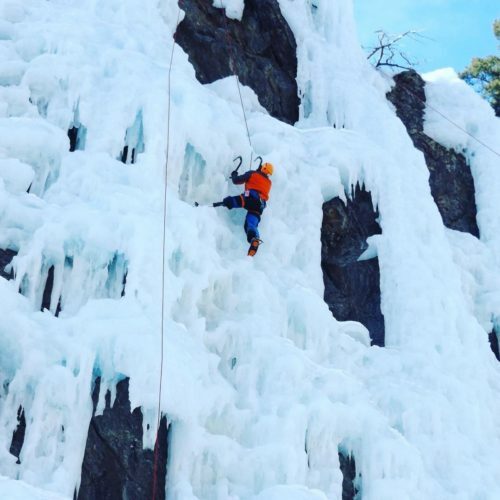 Jeff, a big time outdoor sportsman, returned home with a leg to wear for duty at the fire department and another for pursuing his sports interests, one of which happens to be ice climbing. Dave was intrigued by the photos Jeff posted on the 50legs page, and expressed an interest in trying it. The two of them started communicating and soon Dave was on his way to Colorado where Jeff showed him the ropes. That opened up a whole new world to Dave. Last weekend, Dave met Ronnie in Tennessee and learned to do some bouldering (see video below). 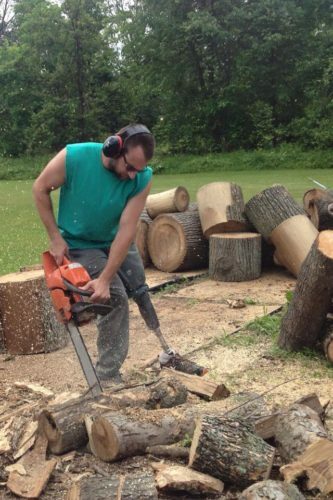 Strong and confident, Dave has come full circle since the accident that took his leg over two years ago. Although he still struggles in many aspects of his life, in many ways he is stronger and much more appreciative of all its possibilities.